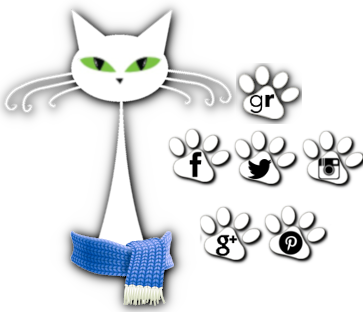 herding cats & burning soup: Cat Thursday..."It's all about the nip, man. 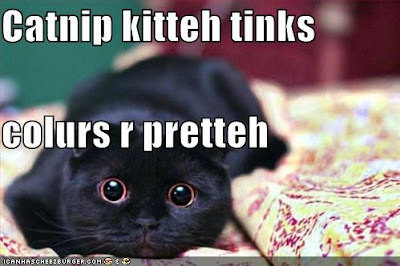 All...about... the nip." Cat Thursday..."It's all about the nip, man. 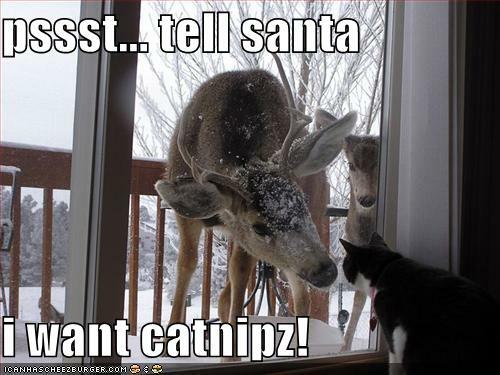 All...about... the nip." This week we're all about the nip. 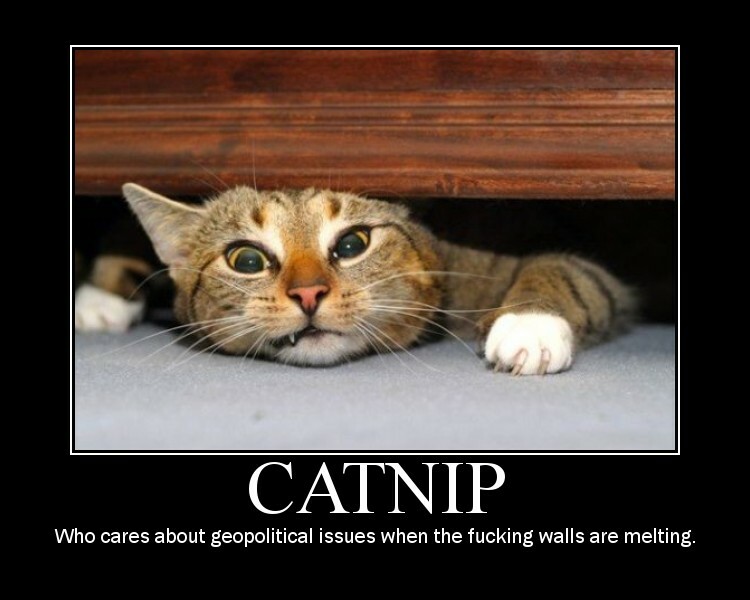 I saw this one on my facebook feed the other night and just about died so thought this week I'd share my favorite kitty nip LOLs. Bwhaha. I love the herd on 'nip. Do yours like a good roll in the good stuff or are they the indifferent sort? Oh, mine love the 'nip. 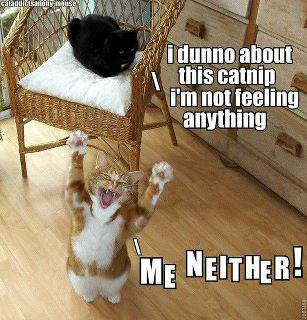 They've been known to take a 'nip or two, but who's counting when you're having fun? LOL Michelle #4 sent me into giggles last night too. I'd already seen it and it still made me giggle. He's insane when he even gets a whiff of the stuff. Fun pics! heehee, I love it!!! 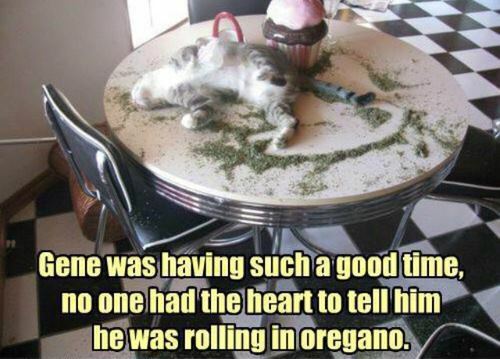 My old kitty Corky used to go *bonkers* over catnip. He'd rip your damned arm off. I'd come home sometimes to find that he "discovered" the bag in a closed drawer, macgyver'd it open, and spread it from one end of my apartment to the other. Nip-o-palooza. *sigh* Good times. Love these pics!!! Lol thanks for the fun pics! Anna, these are hysterical! I love the little black kitty with the HUGE eyes! Look those. LOL. I have a couple that roll but; then I have some that eat it instead. Does anyone else's cat eat it? Not the plant kind but; what comes in a package or container. LOL. They all go crazy and then sleep it off. LOL. LOL. I thought I had the only weird kitties that eat it. Anna these are so funny. That first one cracks me up. @katsrus Mine eat it too. They're nuts. They eat it, roll in it, beat each other up and take a good long nap..
LOL I saw that first one in the middle of the night and was in tears laughing so hard. I just love those LOL cats. Mine do the eat, roll, beat each other up, eat some more. They never seem to hit the nap mode. So funny!! Mine eats most of it and then rolls in the rest! LOL yup. I've got eaters too! Loved the laughs today! My babies love the catnip. Them on the nip is mine and Sean's weekend entertainment, LOL! NOOO!!! I wouldn't mind Amelia having catnip but the boys? Oh God no! Spencer's bad enough without it, the ONE time we gave it to him he went completely psycho for about 5 hours and tore up the house. OMG Adria we had a kitten at the adoption center. He was getting adopted that day and got his first catnip right before he left and holy cow he must have been like your boys. I got a call from his new home that "we're having a domestic issue!! he's freaking out!" they were panicked and that boy bounced off the walls for hours. He gets no nip now days. LOL - I love these! These made me laugh a lot. The last one looks totally freaked out, poor kitty.